In an era of the battle between earned media and fraudulent advertising, the rise of ad blocking technology is more prominent than ever before. Many of the top leaders of the advertisement industry can agree that ad fraud has become an overwhelming issue and must be stopped. However, according to Alex Kantrowitz of AdAge.com, the act of fighting ad fraud costs money, and "just about every company in the ecosystem can benefit in some way from it." This is, as Kantrowitz's headline puts it plainly, why so little has been done to stop ad fraud. If the Federal Trade Commission, or FTC, had it their way, the term "fraudulent advertising" simply would not be a part of an American consumer's vocabulary. According to the FTC, the very foundation of advertising is to be "truthful, not misleading, and, when appropriate, backed by scientific evidence." The FTC promises to help consumers on whom cases of fraud have been perpetrated by filing actions in "federal district court for immediate and permanent orders to stop scams," as well as to prevent such perpetrators from scamming consumers in the future. However, not many other platforms are as ready and willing to stop fraud as the FTC. "Purging fraudulent impressions from the system would mean higher media prices and lower performance (though more accurate)," Kantrowitz writes. This very issue gets on the nerves of the people who want to advertise the "right way." Media and advertisement companies have found more effective ways to purge sites of fraudulent ads over the years, but the processes are expensive. Not only are the processes to purge ad fraud expensive, but the costs of sending advertisements out into the internet are also rather costly. This is especially true of the advertisement costs wasted on bot traffic or nonhuman digital traffic. "Ad blockers not only put a huge chunk of display advertising revenue at risk, but are a clear and present danger to the media's high hopes for sponsored content, which is now rendered all but invisible," writes Steve Rubel of AdAge.com. 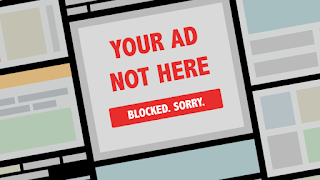 Ad blocking technology, used to repel ads, both fraudulent and not, has always been around, it just hasn't been quite as widely used in the past as it is today. It is because of these ad blockers that ad publishers are in a rush to formulate new ways to get their ads out to consumers. 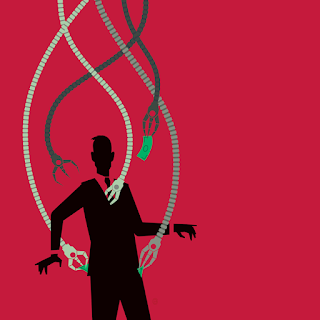 While they attempt to surpass the technologies consumers have in place to block any unwanted ads, the issues of "ad viewability and bot fraud" remain. While consumers have found at-home methods of preventing their own viewing of ad fraud, digital media marketers and publishers must also find their own ways of preventing ad fraud from a production perspective. Amy Bartle, the director of media and digital marketing for La Quinta Inns & Suites, says that the most effective tool in place to combat fraud is "third-party verification, preferably one that is more fact-based than probabilistic" in an article for adweek.com. With such tools in place, both from an advertisement perspective and consumer perspective, hopefully the era of fraudulent advertising will come to a close sooner than expected.